A personal trainer and two footballers are the first victims of the Shoreham air crash to be named. The footballers were on their way to play a match when a plane taking part in a local air show crashed into the A27 in West Sussex on Saturday. Matt Jones, a 24-year-old personal trainer, was identified by his sister as one of those killed in the Shoreham Airshow crash on Saturday. Becky Jones said she was “devastated” to say that her brother Matt Jones had died. Two more victims have been named in reports as Worthing United footballers Matthew Grimstone and Jacob Schilt. The pair are thought to have been on their way to play a match against Loxwood FC when they were caught up in the incident. 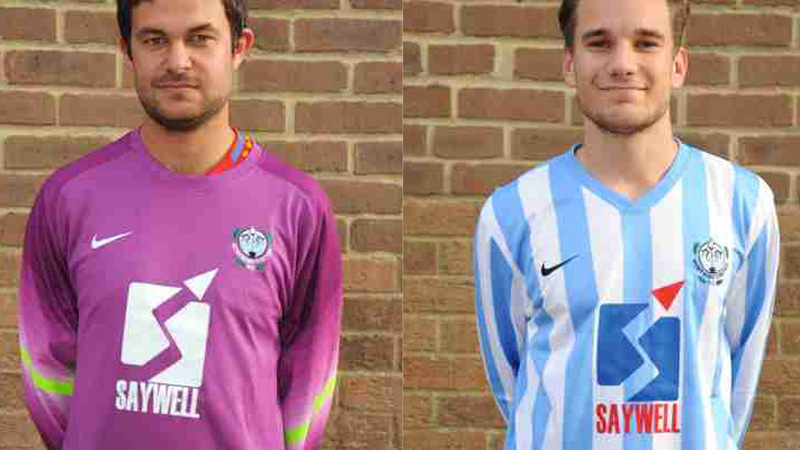 Mr Grimstone was a goalkeeper with the non-league club, while Mr Schilt played in midfield. The game against Loxwood, which was due to kick off at 3pm at Worthing United’s Robert Albon Memorial Ground in Worthing, was called off following the tragedy. Worthing United play in the Southern Combination Football League Premier Division, and were division two league and cup winners last season. The parents of Matthew Grimstone, Sue and Phil; his brothers David and Paul; and their partners Emma and Charlie have released a statement. It reads: “The family are in total shock at losing our dearest son Matthew so tragically at 23 years old. He was the kindest person you could ever meet with a great wit. “In his 23 years we can honestly say he never lost his temper. “Matthew loved football and working for the Albion at first on the grounds team at Withdean and now at the new training ground in Lancing. “He played as goalkeeper for Worthing United and before that at Mile Oak and Saltdean. Worthing United gained promotion having won Division 2 last season as well as winning the Division 2 Cup. He was also a talented referee. “Matt has been taken from us at just 23 and we still think he is going to walk through the front door any minute now. Dean Gilmour said: “RIP Jacob Shilts & Matthew Grimstone – two absolute gents, taken away from us so early in life you will never be forgotten!! Love you boys.”The three men were among seven people killed when a Hawker Hunter jet crashed into the A27 after it apparently failed to pull up from a loop manoeuvre during a display at the show. The crashed into the A27 and burst into a huge fireball, ploughing across the busy road just yards from cars and a group of people. Several cars were hit by the burning aircraft, police said. Some 14 people were injured, four of whom were taken to hospital, after the jet crashed at around 1.20pm on Saturday, shortly after beginning its display in front of thousands of spectators.